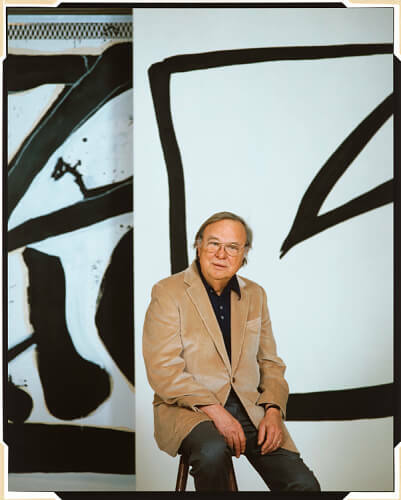 Robert Motherwell was not only one of America’s most innovative artists, he was also a philosopher and scholar. 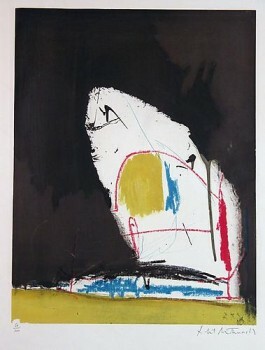 Motherwell’s work and ideas had a profound effect on American artists in the mid-twentieth century and helped to usher in the era of Abstract Expressionism and uniquely American modern art. 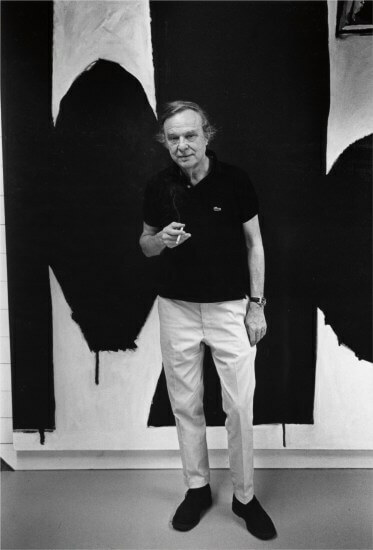 Robert Motherwell was born in Aberdeen, Washington in 1915, and was raised in San Francisco, where his father was president of the Wells Fargo Bank. 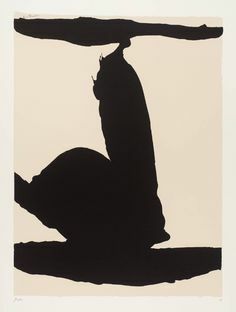 Motherwell exhibited an aptitude for art as a young child, and was awarded a fellowship to the Otis Art Institute of Los Angeles when he was eleven years old. He studied painting at the California School of Fine Arts and then went on to get a BA in philosophy from Stanford University in 1937. Studying at Harvard led Motherwell back to Paris to study the works of Eugène Delacroix and then back to the U.S. to study at Columbia with art historian Meyer Schapiro. It was Schapiro who encouraged Motherwell to paint, and Schapiro who introduced him to a group of European Surrealist artists living in New York. 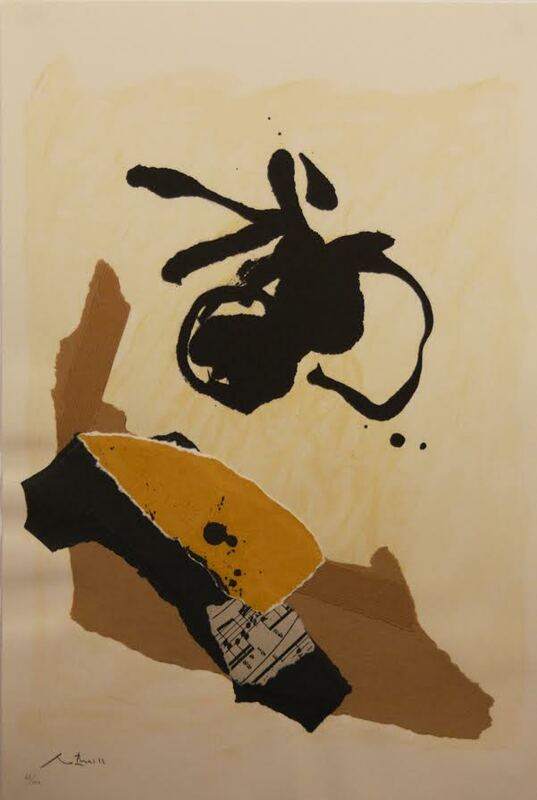 It was through these artists that Motherwell learned about automatism (which Motherwell called artful scribbling), the idea that art might be a manifestation of the artist’s subconscious, a concept that had a tremendous influence on his work. In 1941, Motherwell traveled to Mexico with Surrealist painter Roberto Matta. He created pen and ink drawings, known as the Mexican Sketchbook, which combine the influence of Surrealism with the spontaneity of Abstract Expressionism. 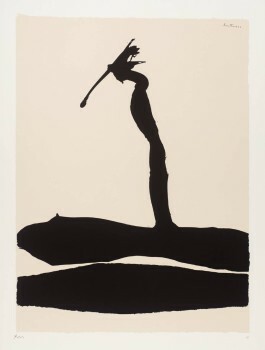 Peggy Guggenheim helped to jump start Motherwell’s career with a solo show in her gallery. 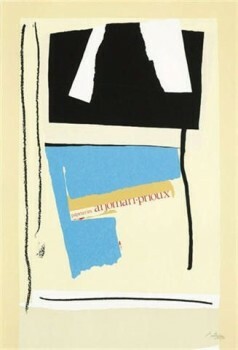 In 1944 MoMA bought one of his paintings for their permanent collection and his reputation, as a leading figure in America’s avant-garde art movement, began to take hold. 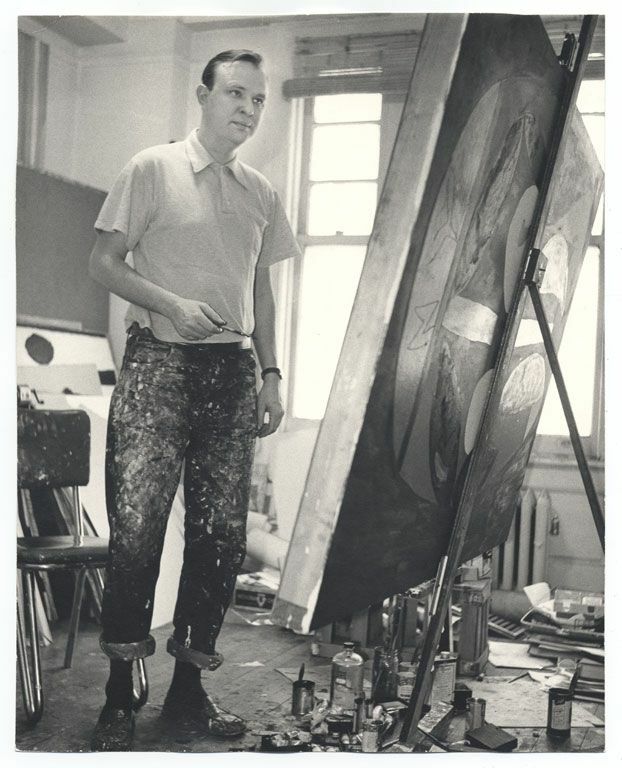 Motherwell taught painting at Hunter College in New York and at Black Mountain College in North Carolina, where he influenced artists like Robert Rauschenberg, Cy Twombly and Kenneth Noland. He also edited, wrote and lectured about modern art. He often worked in series, like Elegies to the Spanish Republic, which focused on the human suffering during the Spanish Civil War. 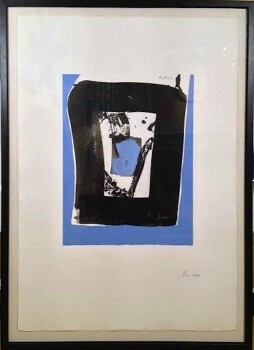 In the 1960s, Motherwell began to produce lithographs, becoming the only artist of the first generation of Abstract Expressionists to use printmaking as part of his work. Motherwell was married four times. He had two daughters with his second wife, Betty Little. 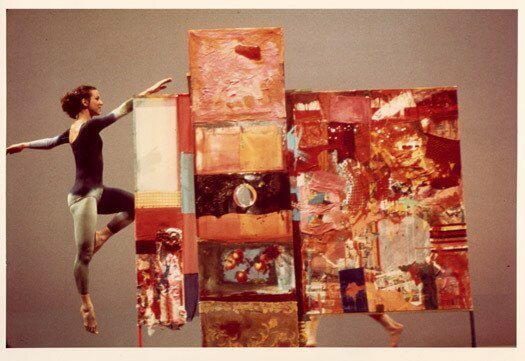 His third wife was Color Field painter, Helen Frankenthaler, his fourth was photographer Renate Ponsold. Robert Motherwell continued to create paint, print, lecture and write until his death, in 1991, at age 76. Hundreds of mourners attended his memorial service, held on the beach outside of his home in Provincetown, Massachusetts. In 1981 Motherwell established the Dedalus Foundation to support art education and research. 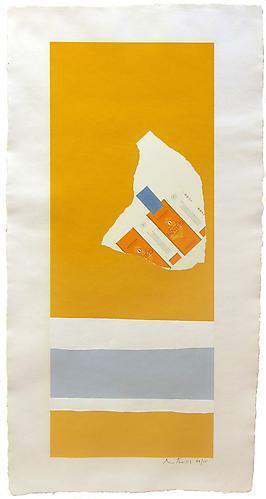 In 1989, Motherwell received the National Medal of the Arts from President George Bush. 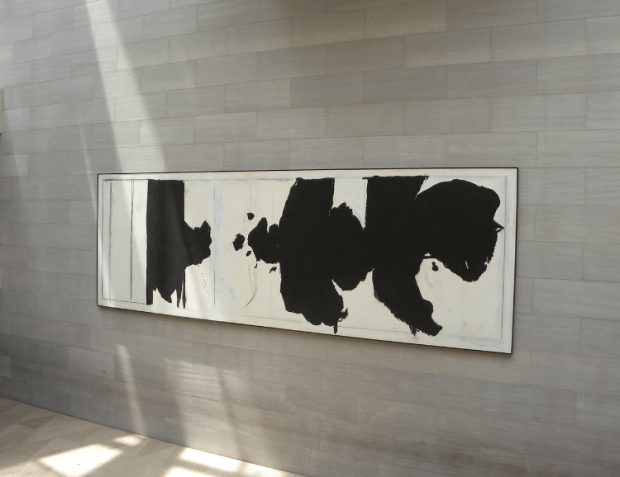 Robert Motherwell’s mural Reconciliation Elegy was commissioned by the National Gallery of Art in Washington in 1978. His works can be found in major museums and galleries around the world. 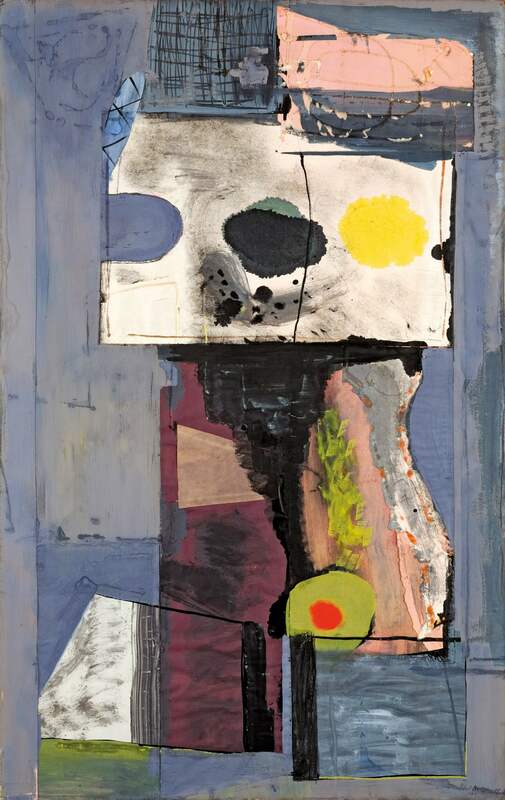 Collection of National Portrait Gallery, Washington, D.C.
Robert Motherwell’s At Five in the Afternoon set an auction record for the artist in May. 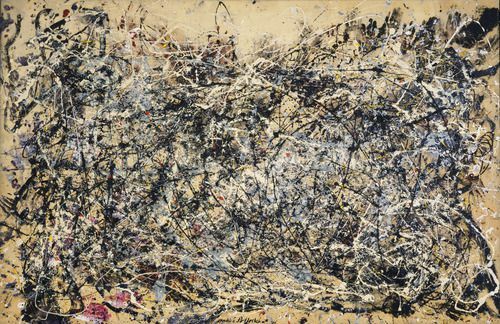 The ten-foot long painting sold for $12.7 million at Phillips Auction House. 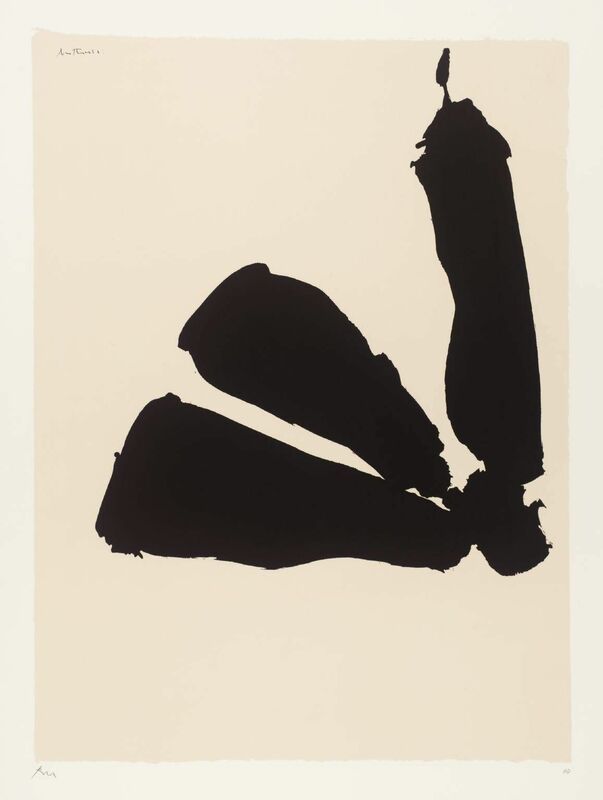 Five in the Afternoon is just one in a series of Motherwell’s Elegy paintings and prints that the artist worked on, and refined, over many years. Our collection of works from Abstract Expressionist artists is ever-changing in our Boca Raton Contemporary Art gallery. 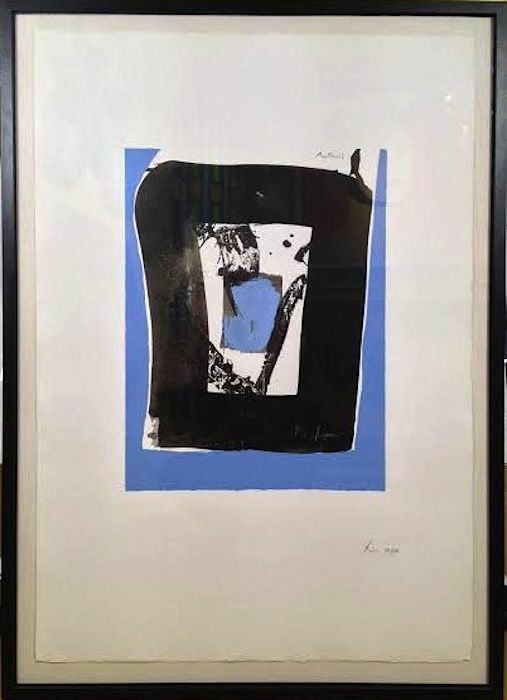 In addition to limited edition prints from Abstract Expressionist masters such as Robert Motherwell, Willem de Kooning, Jasper Johns and Helen Frankenthaler, we also carry inspired works from an array of world class Pop Art and Optical Art masters who have been strongly influenced by the AE movement. Like all powerful art movements, Abstract Expressionism is a phenomenon that is the result of a perfect storm. In the years following World War II, as powerful nations worked to rebuild, both physically and emotionally, and millions of people were transplanted worldwide, change was undoubtedly in air. No wonder that New York City emerged as a Contemporary Art powerhouse, with the unconventional works of Jackson Pollock, Willem de Kooning, Mark Rothko, Robert Motherwell and others signifying a new shift in the art world.